Skyjack’s Compact DC Electric Scissor Lifts offer Skyjack’s easy to service, low maintenance design in a compact and versatile package. Equipped with variable speed front wheel hydraulic drive, and 90° steering, both models are capable of maneuvering in the smallest spaces. Featuring a 3’ roll out extension deck, these models offer work heights up to 25’ and 25% gradeability. The SJIII 3219 platform boasts an industry leading capacity; and 550lbs. The SJIII 3219 features durable steel swing-out component trays, providing unrestricted access for easy maintenance and service. 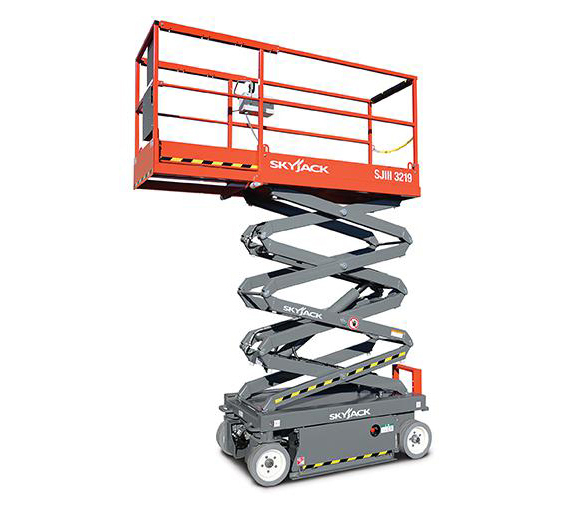 Skyjack’s DC Electric Scissor lifts utilize Skyjack’s standard color coded and numbered wiring system with analog based controls. Learn more about the Skyjack model SJIII3219 standard features below. 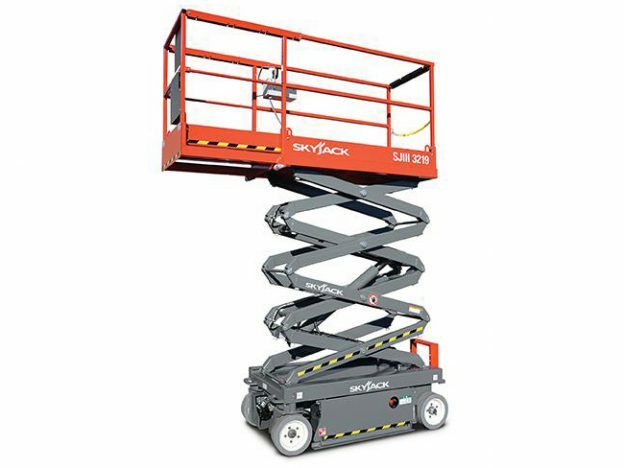 For more information about its rental prices go to our Skyjack Scissor Lift SJIII3219 product page or call us at (813)971-9990.